Corningware 10-Piece Bakeware Set Just $39.99! Down From $80! You are here: Home / Instagram / Corningware 10-Piece Bakeware Set Just $39.99! Down From $80! For a limited time only! 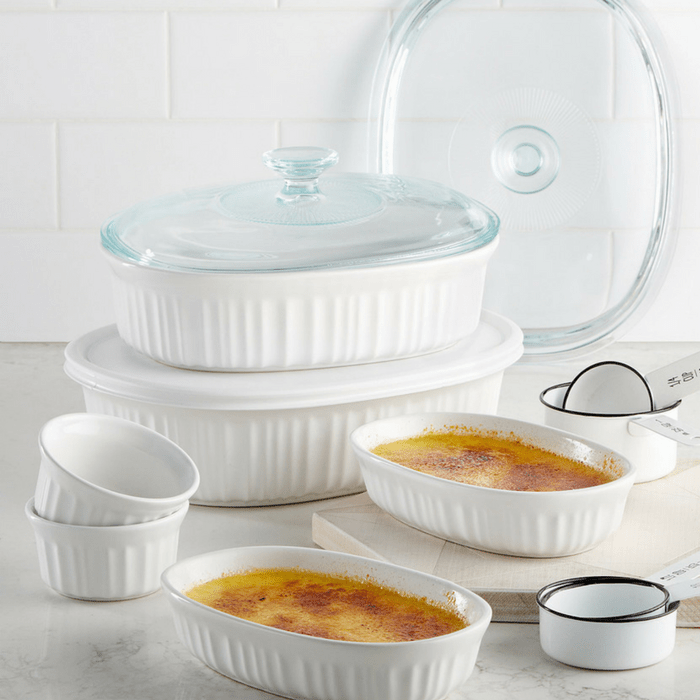 Macy’s is offering this Corningware 10-Piece Bakeware Set for just $39.99 down from $79.99 when you use promo code SALE at checkout! PLUS, choose FREE store pick or FREE shipping for orders $99 and above! Classic fluted stoneware dishes in a range of sizes move from prepping in the kitchen to serving on the table with effortless ease. The larger bakers include plastic & glass lids that let you take meals on the go or store them in the fridge or freezer. This is perfect for the holidays!